This week I made this cake for my husband and children!! Sharing it with the ones I love!! Grease and line the bottom of a medium size heart shape backing tin. Cream the margarine and sugar together and add few drops red food colouring. Beat in the egg adding a little flour at a time until all mixed in. Place the mixture in the tin and cook for about 30 minutes until golden in colour,well risen and firm to touch. Leave to cool 10 minutes then transfer to a wire rack to cool completely. Using a sharp knife slice the cake horizontally and spread one half with jam. Whip the cream and spread over the other half and sandwich back together. In a pan place the double cream,cooking chocolate and few drops of food colouring in a pan over a low heat and stir until melted. Remove from the heat and leave to cool stirring occasionally. Spread the cooled mixture over the cake and leave to set in a refrigeater for a few hours or overnight until set. What do you think to my cake? "Get The Cheryl Cole 2011 Style Awards Look From Next…"
I follow you back on twitter @reinventlolliLove the cake! Looks delicious!! This cake is oh so beautiful and I am sure very delicious! Gorgeous photographs! Very sweet idea for a special Valentine's treat! Strawberry jam and white chocolate. Bet this tasted divine. Looks fabulous! Thanks for linking up at Giggles, Glitz & Glam. I can not come to your blog anymore! Too many yummy looking sweets! LOL Just wanted to let you know that the new Share & Share linky was open if you'd like to add 4 posts this week. I have the button too, now. Have a great Tuesday, Clairejustine! Wow! That looks sooo good! awesome valentine's day cake! 🙂 sending some #chocolatelove to you! That is one sweet looking cake! 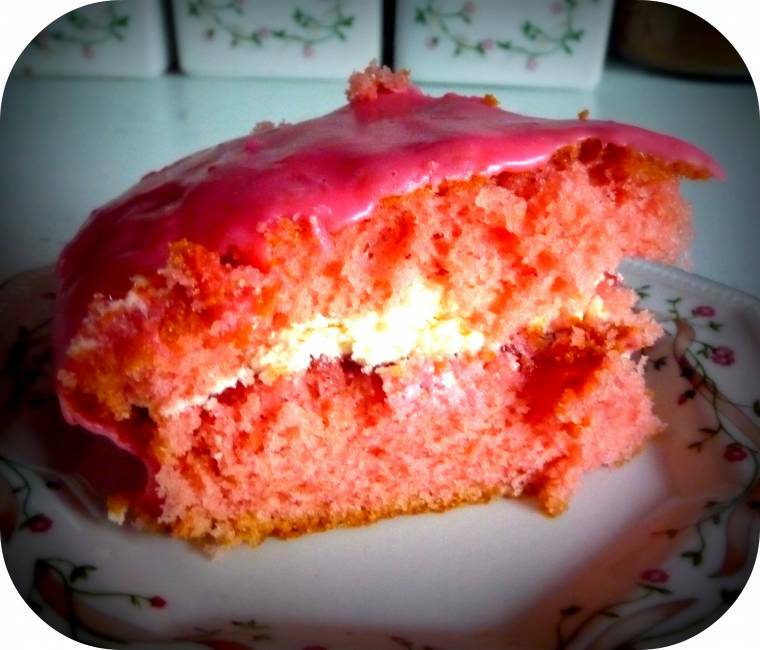 The cake looks soooo scrummy – many thanks for sharing the recipe. I'm here from Welcome Wednesday and looking forward to joining in future blog hops. Hope you have a good day. Yum, that looks good. Thanks for sharing it at Crazy Sweet Tuesday! Hello! I'm a new follower from the Sunday Strollin Blog Hop. I'd love it if you would follow me back! Pretty cake. Thanks for sharing at Bacon Time.